Words, like ideas, gain and lose cultural steam. Thankfully, one of the words and ideas on the rise is justice. For too long, it&apos;s been too easy to wallow comfortably in the notion of my private life, my individual well-being, with little thought for the well-being of others or for how justice for the oppressed, the poor, the abused, the forgotten is essential if we are to live in a way that could be called faithful. The prophets gives us a stern dose here. No one says it better than Micah, reminding us that we are to do justice, love mercy and walk humbly with our God. But the idea flows all through the Bible, cover to cover. You can hardly open the Old Book without running into the call to pursue righteousness, and the word righteousness should often be translated justice. If we are to do what is right and shine God&apos;s redemptive brilliance into the world, then justice is a non-negotiable. One thing worth noting from Micah is how the call to justice goes hand-in-hand with loving mercy. This is a discussion for another day, but suffice it to say that if our justice is absolutist and hard-edged and feels like a stranger in the land of mercy, then something&apos;s gone massively haywire. Justice may show us our sickness and triage us to stop the hemorrhaging, but mercy&apos;s required if we&apos;re ever to be healed. However, the way we talk about justice these days, it seems that sometimes we&apos;re acting like justice is a force unto itself. Justice is not a stand-alone concept we arrive at by sheer brain power, ethical evolution and historical perspective — then hope to God we can figure out a way for Jesus to possibly fit in. Our commitment is not to some intellectual category we call justice; rather our commitment is to Jesus who is the Just One. Justice needs Jesus. Justice needs Jesus because our attempts at justice, left to themselves (and especially when wrongs are not righted swiftly), usually find a magnetic pull back to some expression of the same violent or dehumanizing energies that inflicted injustice in the first place. We are not unjust because humanity has a few bad apples, but rather we are unjust because left to ourselves, we resort to power plays and violence and manipulation and enemy motifs to protect ourselves or to enact the world we believe in. Justice needs Jesus because the powers of this world have no generative, life-giving resources on their own. "Everything that is good and perfect," James says, "comes from above, from the Father of lights who does not change like shifting shadows." Every single thing that is right and true and beautiful and good comes from God, everything else is only (at best) derivative of what is true or good or (at worst) some degradation or twisting of that which is true and good. Every ounce of love and healing that exists in the universe comes from the God who has made himself known in Jesus Christ. God is love. The God who is love has revealed God’s own self through the first century Jew known as Jesus Christ. Justice as an ideal is very different from justice that is Jesus. This doesn’t mean that someone needs to wear the Christian jersey to enact justice, not at all. In fact, often those who do not claim our faith reveal to us our own hypocrisy. However, all this does mean that whenever true justice happens, it’s consistent with the person of Jesus. Jesus defines justice – not us. No matter how noble or advanced or courageous our justice appears to be, if it doesn’t line up with Jesus’ way, it will ultimately, one way or another, end up inflicting harm. Justice is only possible in the world because God has made it so in Jesus Christ. Perhaps most of all, justice needs Jesus because God’s justice is not about evening the score or even merely wronging rights – but reconciliation. Paul tells us that the love of Christ compels us to reconciliation, to make friends of enemies, to envision a future beyond the enmity that fuels our outrage. There was once a Man who hung on the Empire&apos;s cross and endured the rejection of the religious powers. This man, with gasping breaths, cried out, "Father, forgive them. They don&apos;t know what they&apos;re doing." This is a strange, strange justice. This is a justice that requires Jesus. When Martha invited Jesus into the home she shared with her sister and brother, she couldn’t have known the splendid friendship she’d just instigated. You never know the remarkable string of events you’ll set in motion by something so ordinary as opening your door and laying an extra plate at the table. Martha got right to it, cranking things up in the kitchen and preparing for the many guests who followed the rabbi into her living room. After a while, Martha grew agitated because there she was working her finger to the bone over a hot stove while Mary refused to leave Jesus’ side, soaking up every word. When Martha protested, Jesus, in the gentle tone every over-exerted person needs to hear, answered Martha, Martha, you are anxious and distracted about so many things. Then Jesus added, Mary has chosen the one thing most essential here. Let’s not take that from her. It’s easy to think that in this short narrative Jesus takes sides in the long feud between competing spiritualities: the spirituality of action versus the spirituality of contemplation. This war rages on even now, between the justice-loving activists and the mystic-minded contemplatives. Of course, it would be silly to think Jesus was interested in, much less bound by, our divisions, the ways we like to codify paradigms and categorize everything and everyone according to some flavor du jour. 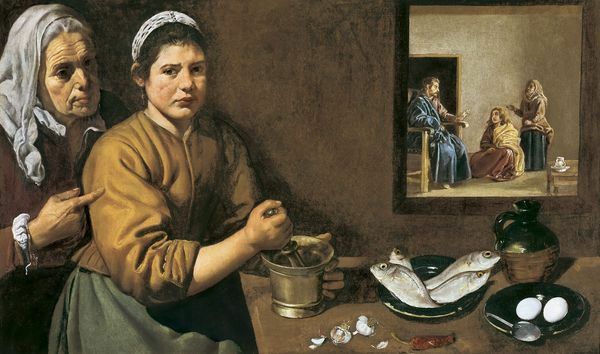 Jesus did not push against Martha’s labor, but rather against her distraction, her worry. God knows we need people who clear the fields and announce the truth, people who get antsy whenever we forget that there’s a world we must tend to. But God also knows that those of us who’ve recognized how much our work matters are tempted to think it matters too much, to forget that God and love stand at the center of our labor and our noble causes, to forget that our soul is our deep treasure – and that our soul can absolutely shrivel and die. There’s nothing more heartbreaking than to find a person who’s given themselves to a cause and then, amid their fervid exertion, completely lost themselves in it. Now, only a shell of a human remains, barking burdensome platitudes. The truth is, however, contemplatives struggle just the same. When we too heavily emphasise “the disciplines” or “the practices,” as if they are a force unto themselves, we entirely miss the point. There are few things more obnoxious than a would-be mystic who’s worn themselves out (not to mention everyone around them) because they thought the work of silence or “spiritual union” was their mission they must accomplish. What Martha and Mary needed, what we need – that one thing that is necessary – is Jesus. In our seasons of grit and grind as in our seasons of quiet and sabbath, what we need is Jesus. Jesus may come to us in a thousand ways, through Psalm and Gospel, wind and river, worship or children or wine or sweat or solitude – but we must choose him. We must choose that which is absolutely essential, the one thing that, unless we have it, we will die.